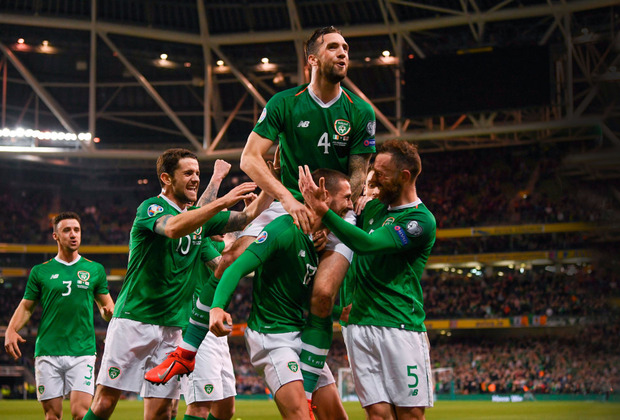 The football association is heavily dependent on sponsorship as a key revenue stream as it looks to achieve its target of wiping out the Aviva Stadium debt by the end of next year. Most recent figures from 2017 showed the debt then stood at €29.5m. Aviva, the insurance firm who holds the naming rights to the stadium until 2025, said it would not comment after it was asked if the FAI could be assured of its continued investment in Irish soccer. SSE Airtricity, the League of Ireland's main sponsor, said it will meet with the association in the coming weeks and "discuss current developments". Bus Eireann, the FAI's official travel partner, and Ford said they continuously review and monitor partnerships they have to ensure mutual benefit. "Ford constantly monitors the performance and return that our sponsorship partnerships deliver," a spokesman for the motor manufacturer told the Sunday Independent. Crucially, none of the FAI's key sponsors offered any assurances their investment in the association was guaranteed in light of Sport Ireland withdrawing its State funding to the FAI. The FAI's primary sponsor Three said it wanted to see the finding of reviews being carried out by consultancy firms Mazars and Grant Thornton to be implemented. "Corporate governance is of utmost importance at Three and we expect the same from all partners we work with," a spokesman said. "We note that the FAI has commissioned two reports to review recent matters and we expect all recommendations to be implemented." Ireland's official kit provider, Toplion Sportswear and JACC Sports - which provides New Balance kits to the FAI -echoed these calls. "We note with interest that the FAI has commissioned various reports to review recent financial and corporate governance matters and we urge the FAI to implement all recommendations as soon as possible," a spokesman said. Hamburger company Rustlers said it was "monitoring current developments", while brewing giant Carlsberg said it would not be commenting "at this time".